Can you recognize popular world landmarks? Reveal part of a photo and try to guess the city. The are photos of cities all over the world, from all continents and different viewpoints. You can test your geographical knowledge with this cities quiz and who knows if you are a traveler you may find new ideas for new places to visit. The gameplay is simple. 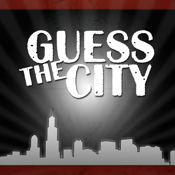 You just tap on the blocks to reveal parts of the photos and then you will have to guess the name of the city using the given words below. Don't worry, if you don't know the answer on each level, there are hints that will help you pass on.